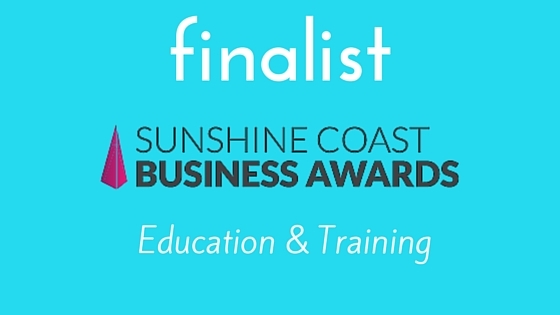 Ocean Life Education is proud to announce it is a Sunshine Coast Business Awards 2015 Finalist! This is the first time we have entered the awards and are so proud to have been accepted as a Finalist in the prestigious Awards for the Education and Training category. It is wonderful to be recognised for our achievements among the Sunshine Coast business community. The 2015 Awards program includes business sector awards, tourism sector awards, major awards for key aspects of business performance, an overall business of the year, individual awards and the prestigious Hall of Fame. Ocean Life Education is one of five finalists in the Education and Training category, among fellow finalists Demi International Beauty Academy, Gumnuts Childcare, Maleny Credit Union, and Safetywave. Marine Education Officer and Presenter, Nathan Wynder has also been selected as a Sunshine Coast Business Awards’ Employee of the Year Finalist. 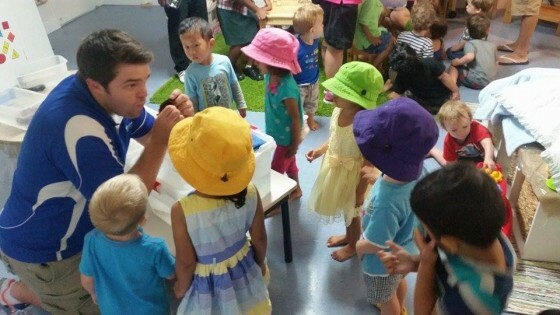 Nathan has been with Ocean Life Education for four years and has been a tremendous asset to the team – with his passion for children’s education and a constant willingness to learn and pass his knowledge and love for the environment on to the next generation. Nathan presenting the Ocean Life Discovery program. The submission process has been rigorous starting with an Expression of Interest followed by a phone interview before being accepted to submit a full entry submission. The submission was comprehensive as we had to outline our business strengths, achievements and challenges across five key criteria areas – your business, sales and marketing, customers, team culture, business planning and performance. The submission was then followed by an in-person panel interview and Richard couldn’t help but take the opportunity to wow the panel with our live marine animals and a bit of humour. Wife and business partner, Tracey was by his side to ensure Richard didn’t get too carried away and kept him focused on the business side of things! The experience has been valuable, providing the opportunity to reflect on our achievements over the past nine years when it all first began. Tracey and Richard founded Ocean Life Education as a husband and wife team on the Sunshine Coast in 2006. With passion and purpose they saw a gap in the market and a real need for education for sustainability to be incorporated into children’s education from a young age. Ocean Life Education will attend the Sunshine Coast Business Awards Gala Event on Saturday 7 November and looks forward to celebrating our achievements with the team and other finalists. This entry was posted in Uncategorized on October 29, 2015 by oceanlifeeducation.